As an elderly individual, you might be aware of the difficulties involved in performing everyday chores and other physical activities which require strength and fitness. To help you with it and make everything comfortable for you, the staff at assisted living communities come up with creative solutions. Listed below are five ways in which they improve the quality of life in your senior years. With age, people become more prone to illnesses and physical conditions. Even with such disorders, you can lead a comfortable life with the help of the technology available. These may include adaptable utensils for individuals with tremors or who experience arthritis in their hands, devices to assist with putting on socks when getting dressed, handled cups, devices to assist with communication, and other tools and helpful inventions to aid those with disabilities in improving their quality of life. Assisted living communities will teach you how to use these correctly. As you age, you might be impacted by a chronic illness such as dementia, arthritis, and more. 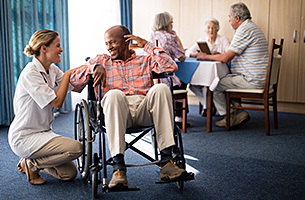 A retirement community will offer you support and care to combat them such as exercise, therapy, and mentally stimulating activities based on your unique needs, making your life more comfortable. With age, the need for interacting with people increases, and you might often find yourself yearning for a joyful and energetic atmosphere. You also face a higher risk of loneliness. When you move into a senior living community, you will have an opportunity to meet new people and interact with them. In addition to keeping your mind occupied with things like puzzles, games, books, and discussions, the happy and uplifting atmosphere will impact your health positively. 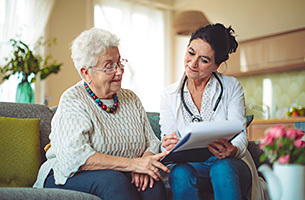 The main purpose of an assisted living community is to help you to lead a happy life while ensuring your needs are met and you are being safely taken care of. By utilizing the services offered, you can accomplish your everyday tasks with less difficulty and carry on with your life. In addition to this, there are many activities arranged to help you enjoy your life and have fun. Freshly prepared meals three times a day. Safety measures in the form of an emergency call button system. Provide essential utilities such as heat and air-conditioned rooms. Beauty parlor and barber shop. For more information about the services we offer, you can get in touch with us by calling 401-762-4226. You can also take a Virtual Photo Tour to learn more about our facility.